Live Pro-Stitcher Training - 2 day PSP Sim Style Event featuring Melissa from MK Quilts. Register for the class on MK's website by clicking here. North of Akron in Stow Ohio - about a 30 minute commute - near highway, restaurants. 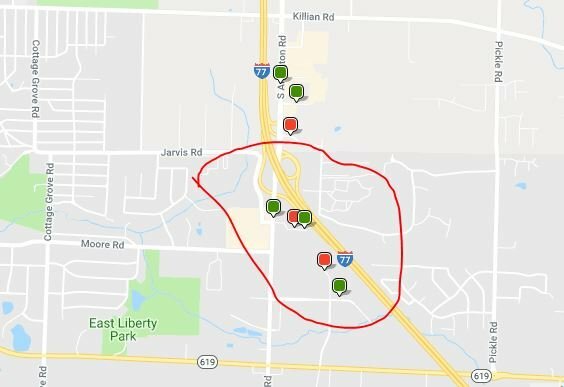 South of Akron in Green Ohio - about a 15 minute commute (lots of traffic) - near highway, restaurants. 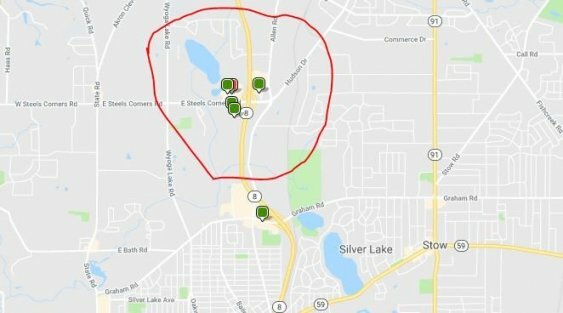 ** It is recommended that you do not stay north of this area circled in red.